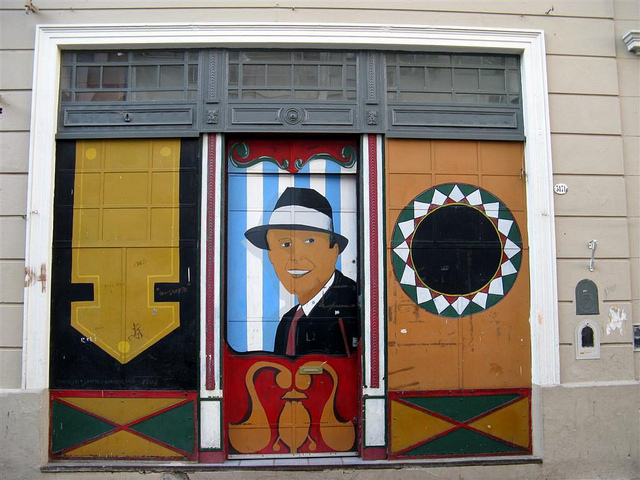 Carlos Gardel alley. Image on Twitter by user Luciana Monte (CC BY-NC-SA 2.0). As has happened every September 5 since the year 2000, Buenos Aires celebrated the Day of Lunfardo, a dialect that originated and developed in the late 19th and early 20th centuries in the lower classes of the city. From there, it spread to other cities nearby. Originally, it was slang used by criminals and afterward by other people of the lower and lower-middle classes, but later, many of its words and phrases were introduced in the vernacular and disseminated in the Castilian of Argentina and Uruguay. The tango “Mi noche triste” (My sad night), written by Pascual Contursi and popularized by Carlos Gardel, was the first song to use Lunfardo on its lyrics. Today, September 5, we celebrate Day of Lunfardo. @lalybuss mi vieja lo hablaba con una facilidad asombrosa, probablemente se debía a que lo aprendió a usar de muy chica. My mom used to speak it with amazing fluency, probably because she learned it at very early age. Today it's Day of Lunfardo, the language of the port of Buenos Aires.